ICAD is a private non-profit organization whose goal is to promote exchange and interaction between industries, research centers, and academic institutions to carry out activities in the field of advanced technological design. Because of the non-profit nature of ICAD, the Consortium can be accounted both as a private companies focus on technological transfer than a Public research center. By this way ICAD presents a staff composed both of private than public servants. 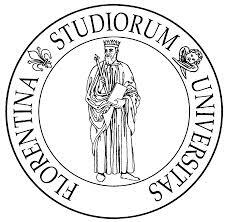 In fact the "Sergio Stecco" Department of Energy Engineering of the University of Florence, is joined with ICAD; this collaboration is intended to fund undergraduate theses, Ph.D. theses and Post-Doctoral programs on specific topics of relevant impact for practical applications. For this reason part of the direct personnel costs requested in the budget for the project realization have been accounted on Universitary employers. ICAD presents several competence in different areas as mechanical engineering, electronic engineering and syststems integration to reduce that gap from industry and advanced research. 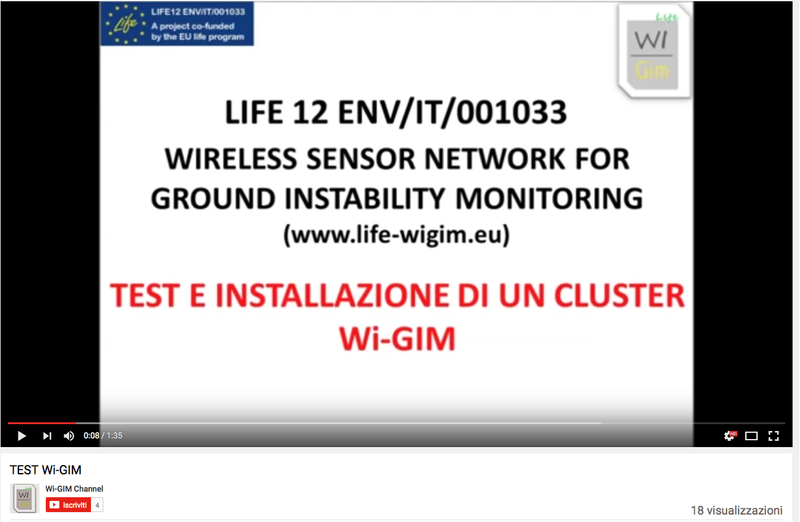 Even if the historic core business of the Consortium is related to mechanical and energy engineer applications, since 2008 it also includes expert in telecommunications engineering that works in particular on advanced wireless sensor networks (WSN) development. In fact nowadays ICAD is involved with several important Italian Industries working on advanced applications of WSN to sea navigation, e-healthcare, warehouse management and goods transportation. The DST-Unifi group has earned a firm reputation for its practical, problem solving approach to the geosciences, which has led to the establishment of solid ties with numerous governmental agencies and private enterprises alike. 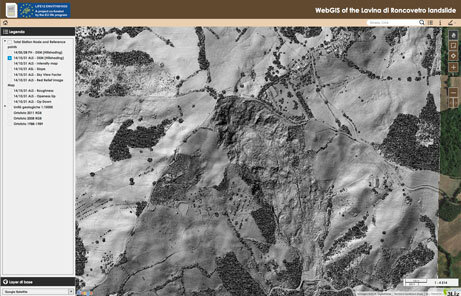 The facilities of the research group include a GIS and thematic mapping laboratory, a Remote Sensing laboratory specialised on SAR interferometry and air-photograph interpretation, rock and soil mechanics field and laboratory equipment, advanced geotechnical and hydrogeological modelling software, GPS and survey instrumentation, a mobile unit for emergency response equipped with a SAR interferometer, IR camera, lidar and Fieldspec. The group also operates a number of field instrumented test sites for environmental monitoring and slope instability. 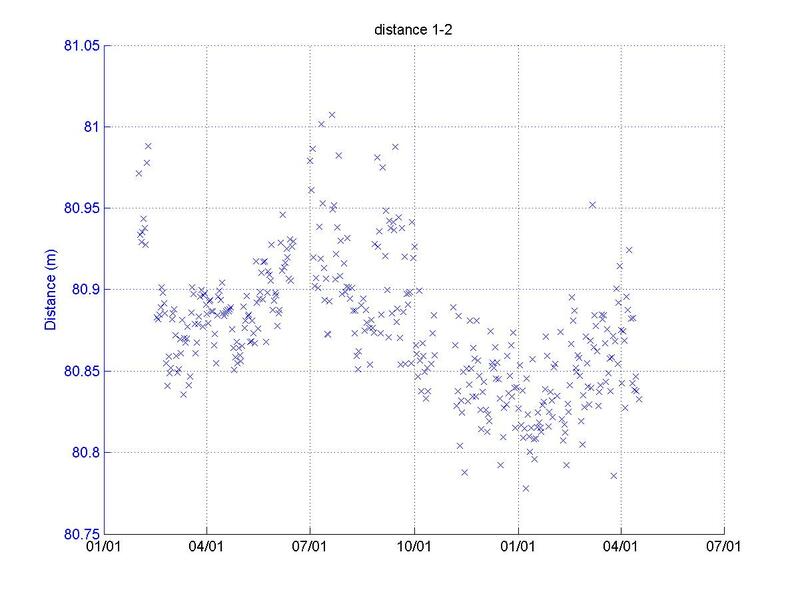 - Development of GIS-based quantitative models for landslide hazard and risk prediction at basin scale. - Rapid mapping of natural disasters (landslides, sinkholes, volcanoes) through the combined use of EO- technologies and in-situ data. Last year the group produced about 40 scientific publications within international and national journals and conference proceedings. The INGV was born in September 1999 through a merge of former Istituto Nazionale di Geofisica, Osservatorio Vesuviano and three other institutions: Istituto Internazionale di Vulcanologia, Istituto di Geochimica dei Fluidi and Istituto di Ricerca sul Rischio Sismico. 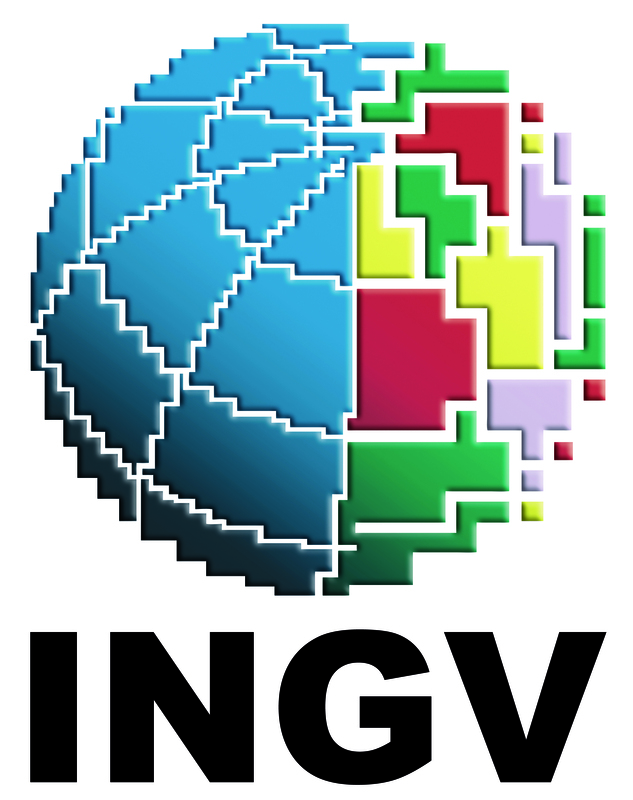 INGV was meant to gather all scientific and technical institutions operating in Geophysics and Volcanology and to create a permanent scientific forum in the Earth Sciences. INGV cooperates with universities and other national public and private institutions, as well as with many research agencies worldwide. 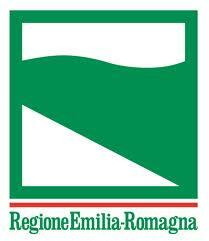 The new institution, currently the largest European body dealing with research in Geophysics and Volcanology, has its headquarters in Rome and important facilities in Milano, Bologna, Pisa, Napoli, Catania and Palermo. The main mission of INGV is the monitoring of geophysical phenomena in both the solid and fluid components of the Earth. INGV is devoted to 24-hour countrywide seismic surveillance, real-time volcanic monitoring, early warning and forecast activities. State-of-the-art networks of geophysical sensors deliver a continuous flow of observations to the acquisition centers of Rome, Naples and Catania. In addition to being analysed for research and civil defence purposes, the data supplied by numerous monitoring networks are regularly distributed to the public institutions concerned, to the scientific community and to the public. INGV operates in close coordination with the Ministry of University and Research and with Civil Protection authorities, both at national and local level. INGV also cooperates with the Ministry of Environment, the Ministry of Education, the Ministry of Defense and the Ministry of Foreign Affairs in the frame of large research programs of national and international relevance. INGV pays special attention to Education and Outreach through publications for schools, scientific exhibitions and dedicated Internet pages. ICGC has been created in 2005 as a public corporation owned by the Generalitat de Catalunya with the objective to develop activities related to the territorial geological knowledge, prospection and compilation of ground and underground information. Even though its recent creation, the IGC has been working on the study of geological hazards, since 1986, as the former Geology Department of the Institut Cartogràfic de Catalunya. The main objective of the IGC is to provide a public service to the Region of Catalonia on the field of geology and geological risks. For that reason the IGC is focused on the improvement and implementation of new earth sciences methodologies and services for the knowledge of the territory, prevention of geologic hazards and risk evaluation. The IGC works closely with the Catalan government institution that generates the land use and territory organization policies as civil protection. This collaboration has been very useful to acquire the experience to define and analyse the needs on hazards and risks management from the user point of view. In this way, the IGC has monitored some sites where geological risk is high, and where an early warning system has been implemented in order to manage emergencies. The General Directorate for Environment , soil and coastal protection carries out tecnical and administrative activities, research and development in environment soil protection and risk management . The GD is composed of various structures. Regarding to soil protection and risk management the structures involved are Geological, seismic and soil survey, and River Basin Tecnical Services , in particolar for this project, the River Po Basin Tecnical Survey. The Geological, Seismic and Soil Survey (SGSS), has been created in 1976 as a technical entity to support the regional government policies dealing with the environment and land planning. Regarding to theme of Hydrogeological Risk , the Survey’s main areas of competence are: the development of knowledge, in particular through data collection and ongoing mapping of slope instability; forecasting, in particular through evaluation of landslide hazard and risk across the region. This knowledge is then incorporated for the purpose of Prevention in the territorial and town planning tools of Basin Authorities (Basin Plans), Provincial Authorities (Territorial Coordination Plans), filtering down to Municipal Structural Plans.